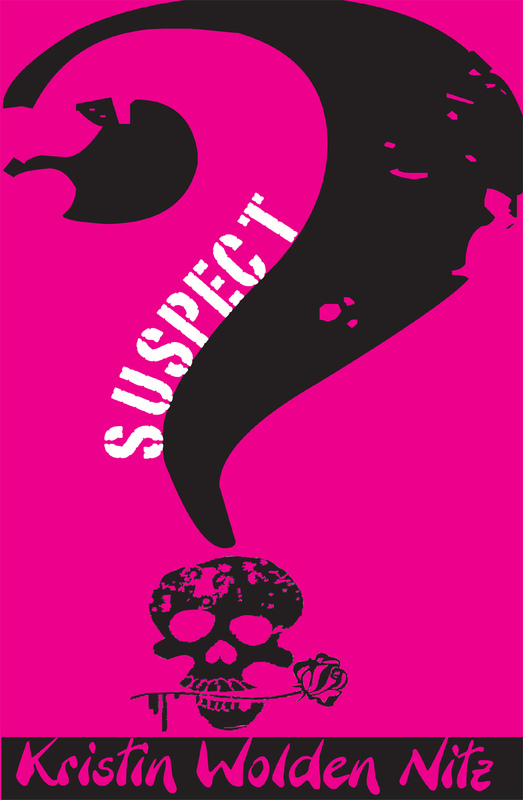 The World of Peachtree Publishers: Dear Publisher Part Three: Art Direction. Dear Publisher Part Three: Art Direction. "Interesting, varied, and unusual points of view separate the merely talented from the truly gifted." Great artwork, or a compelling cover, can make you pick up a book you might have otherwise walked right past. Did you ever wonder who is behind all of that? Today we have a great interview with the woman behind the curtain, our Art Director, LJ. 1. How do you choose which illustrator will work on which book? In choosing an illustrator, we usually look for artists who have been published, though that in itself is not an absolute requirement. Sometimes the author or editor will have a style or a specific illustrator in mind, so we will look at them first, as well as other illustrators working in that particular style or something similar. We do occasionally publish first-timers, working closely with them to encourage their vision, to infuse them with confidence if they need it, and bring them through the publishing process successfully. 2. How do you decide what medium/style would work best for a manuscript? 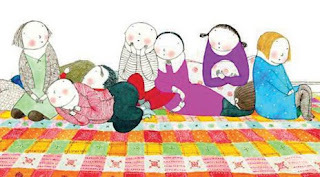 For picture books, the tone of a story will almost tell us what the medium needs to be. A quiet, tender story suggests a softer medium such as watercolor or pastels and the style and colors will usually be softer as well. A wild and crazy story wants to have lots of lively motion, movement, brighter, more saturated colors, exaggeration of postures and facial expressions, and might be rendered digitally or in acrylics. 3. What makes an artist really stand out to you? Is there something that you recommend to new artists when submitting samples? My number-one criterion is mastery—of their chosen medium and their drawing ability. Second, I look for consistency in every detail such as the ability to sustain a character in any pose or activity, any emotional expression or reaction, and to remember to remain constant with secondary elements like backgrounds, and who wears what clothing, or is the pirate’s patch always on the same eye throughout. Interesting, varied, and unusual points of view separate the merely talented from the truly gifted. I’m forever amazed at people who can draw straight out of their own imaginations without relying on seeing something in front of them. Never, ever send originals of anything; photocopies are fine. Send only your very best pieces that you enjoyed doing and that truly represent the way you want to work. Sending six to eight samples is plenty. Label everything with your name and phone or email. Send an SASE if you want samples returned. It’s a good idea to have your own web site or blog. 4. What is the relationship between artist and art director like? You always hope the relationship will be cordial, professional, collaborative. A finished book is the product of many and varied talents, of course. The artist “owns” the visual storyline as much as the author owns the words. Often the artist can create an even greater economy of words by showing something in the picture that the author can easily delete from the text. Or the artist can add to the richness and texture of the story by including something in the visual story that may never even be mentioned in the text. The creative process is intimate and revealing, and it isn’t unusual for a writer and editor to develop a strong connection. The same can go for an illustrator and art director—you just develop a sort of mutual admiration for the process and the end product and the people who help you get there. 5. 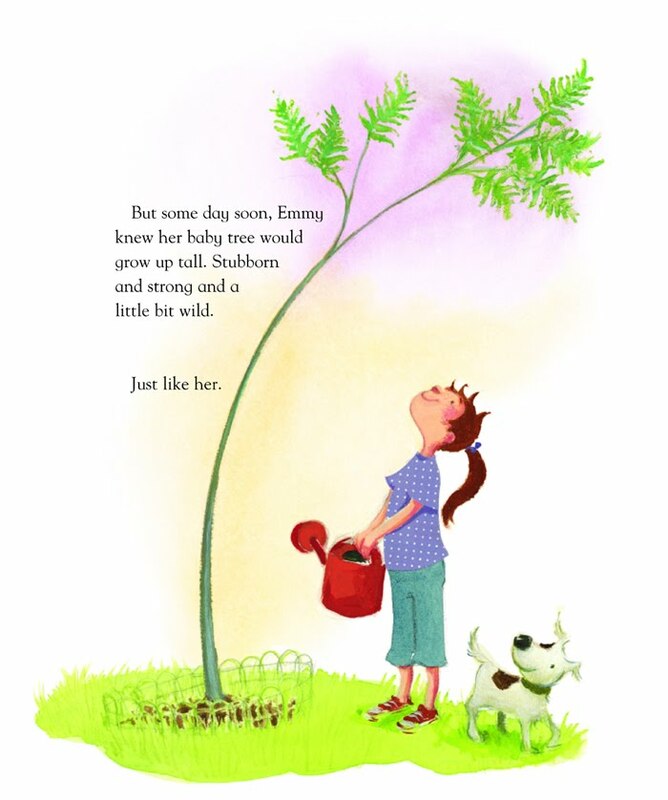 What type of art direction is required for a picture book? Once contracts are signed and a project is underway, the first thing to do is develop a storyboard based on page breaks and the rhythm and pace of the story. This happens within our editorial and production group. Notes are written establishing the characters, time period, settings, costuming, and other important visual details we want to point out to the artist. The notes are meant as a starting point only, to share our thoughts with the artist. From there, each artist works in whatever way best suits him/her, but generally we will see “thumbnails,” small rough pencil sketches blocking the positions of objects, characters, and actions. We review them and offer feedback to the artist. Round Two is the development of rough sketches at full size and with more detail. Again, we review and offer commentary. Next are the working drawings that will incorporate all the comments so far. These are reviewed and we again report back to the artist. If revisions are still needed, he/she will do them. And then it’s time to paint. The entire process can take 6-8 months or longer, depending on how elaborate the illustrators are. 6. What about art direction for a chapter book? We concept and design almost all our chapter book jackets in-house. Two of us, and sometimes three, are handling layout, composition, and type-styling. The process is somewhat similar to picture books, but not nearly so time consuming. We toss around ideas and talk them through, work up a number of concepts in rough form, and hold hallway contests [i.e covers are posted in the hall for all the staff to see and weigh in on] to see which ideas appeal to the most people and why. The winners are developed even further, with several variations, and we run the contest again. We will often email the author and perhaps some of our book reps to solicit their opinion once we’ve really narrowed down the field. This process of elimination continues until we have an image or concept that best represents the tone and content of the story. 7. How do you choose a cover for a book? How much say do the book's editor and author have in this decision? Sometimes a cover image is taken from one of the interior illustrations for a picture book. 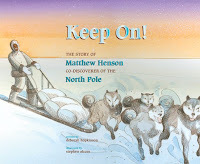 More often a picture book cover will be reflective of the story’s theme or will introduce one or more of the characters. Chapter books will usually have jacket art that is somewhat symbolic or representational of the theme rather than something literal. The editor’s influence is strong within the elimination process, as is that of key senior staff, especially in the case of nonfiction with a science or history theme. 8. Do authors and illustrators work together? The two rarely ever meet, unless they’re booked together for a signing or trade show, but they do sometimes collaborate closely via email or phone where the illustrations require precise accuracy such as science and nature, or historical themed books. The author will have collected many sources of reference for his/her own use and can be an invaluable aid to the illustrator. 9. How does the editorial process overlap with the art direction when making a picture book? The editorial process is usually about 99% complete when a project is sent to production, and only minor editorial changes are made after the text is typeset and proofread. In some cases, in earlier stages we may create a page layout file and do a preliminary castoff of the text to help determine whether more editing is in order or not. Some authors will make suggestions for visual elements they’d like to see included, but traditionally they leave those creative decisions to the artist. Though it isn’t required, Peachtree Publishers' editors do like to keep their authors in the loop as sketches and finishes come in. 10. What is one thing that you wish people knew about the process of making a picture book, in regards to art direction? How long it really takes, start to finish. How important continuity and accuracy are. How important scheduling and deadlines are. 11. What has been your favorite book to work on and why? After 17 years at this, it’s difficult to narrow hundreds down to just one. Among the more memorable are Michael Austin’s illustrations because he was new to children’s book publishing and turned out to be a pure genius. Constance Bergum’s art for The Sunsets of Miss Olivia Wiggins contained many visual hints and clues that were not mentioned in the text but were interesting to find. As we grew and could finally afford them, it was a thrill to work with a few of the bigger names in illustration such as Ted Lewin, Chris Soentpiet, Bill Mayer, and Stephen Alcorn. 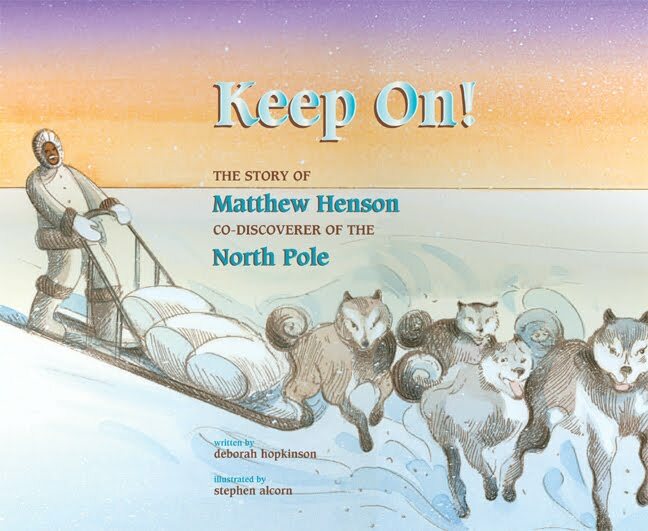 Stephen illustrated Keep On!, about the discovery of the true North Pole, and somehow brought incredible color and fantasy to a land of nothing but pure bright whiteness. I’m still working toward that Caldecott. Thank you LJ for taking the time to answer some of our questions. Is there something else you want to know about art direction? Leave us a comment and we'll get it answered!